Robert J. Scott, 57, is charged with first-degree intentional homicide in the Jan. 6 stabbing death of Rochelle R. Scott, 58, at their home at 4003 S. Channel Drive. Robert Scott’s attorney, Steven Harvey, said Wednesday he “erred on the side of caution” by requesting a competency evaluation in such a “severe” case. He said he was not surprised by the report’s determination. Robert Scott agreed that he was competent to proceed. Town of Delavan police on that Sunday morning found Robert Scott in the driveway, while his wife’s body—which had been stabbed more than 20 times—was in the house, according to the criminal complaint. “I just murdered my wife,” Robert Scott said in a 911 call, according to the complaint. Court documents do not spell out what prosecutors believe the motive was for the stabbing. Online court records show Rochelle Scott filed for divorce Dec. 20—less than three weeks before she was killed. If convicted of the homicide charge, Robert Scott faces life in prison. He is due in court for an arraignment at 1:15 p.m. April 11. Harvey said he wanted to give Robert Scott enough time to “review everything” in the case file before entering a plea, which typically happens at an arraignment. 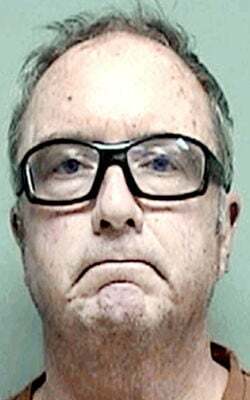 A town of Delavan man charged Thursday with first-degree intentional homicide stabbed his wife more than 20 times, according to a criminal complaint filed in Walworth County Court.